Providing the utmost care catered to you! "I've had two cleanings here so far and both were good experiences!" "Greenwood Smile Dental is a great dental clinic in Greenwood!" "Dr. Wu has helped me change the trajectory of my oral health." "I would definitely recommend a visit to this office. The people are super friendly." "Dr. Wu is awesome! She is knowledgeable, smart, & clearly has a mastery of the craft." Anyone who lives in the Pacific Northwest has a lot to smile about, such as breathtaking scenery, waterfront activities, and world-class dining. At Greenwood Smile Dental in Seattle, Hailun Wu, DMD, takes a personalized approach to keeping each patient’s smile healthy and brilliant at every age. With more than 10 years of dental experience and a first-rate education, Dr. Wu believes in teaching patients about their own specific dental health needs, and the importance of taking an active role in oral hygiene care. Dr. Wu considers herself a native of the Pacific Northwest since moving to the area when she was just 12 years old. She graduated from the University of Washington, Seattle, and then completed her dental studies at the prestigious University of Pennsylvania, Philadelphia, in 2009. She attended dental school while working in a private dental practice so she could gain valuable experience before graduation. At her own practice in Seattle, Dr. Wu takes the time to focus on the individual needs of each patient and to help them understand necessary dental procedures as she performs them. Dr. Wu is skillful, gentle, and detail-oriented, and sees just a few patients each day, so everyone who comes in for services, from routine cleanings to full mouth reconstructions, gets the time and attention they deserve. For the highest level of personalized dental care, including Invisalign®, dental implants, crowns, and veneers, visit Dr. Wu and the team at Greenwood Smile Dental. Dr. Hailun Wu has been serving your local Seattle neighborhood, Greenwood, since 2010. We accept most major insurance providers. Our practice is more than happy to work with you and your insurance plan. Below is a list of in-network insurance companies we work with. If your insurance is not listed below, contact us and let us know. Your insurance may contract through a third party or qualify for out of network services. Please call the office for any additional questions. "Dr. Wu is so personable and warm, and really took the time to sit down and walk me through the exam and all follow-up points." "Happy to report that the staff at Greenwood Smile dental are superb, and Dr Wu is an excellent dentist. Can't recommend enough." 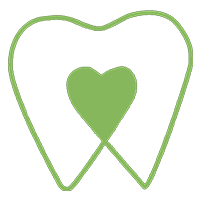 "Dr.Wu and staff gave me very thorough cleaning, educated me on what was causing my 2 cavities, and told me tips for a less acidic diet to help reduce enamel-loss." "Dr. Wu is an absolutely splendid dentist. An extraordinary example of why it makes great sense to find a young dentist with state-of-art education." "I have been with Dr. Wu since she opened her clinic and I’m 100% happy with her service. I finally make to leave a review comment here - highly recommended!"